Mobile Mark MLT402 differs from the MLTM401 in that it was designed to cover all Cellular frequencies worldwide. 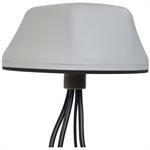 This Global LTE ready antenna covers: 694-960 & 1710-3700 MHz. 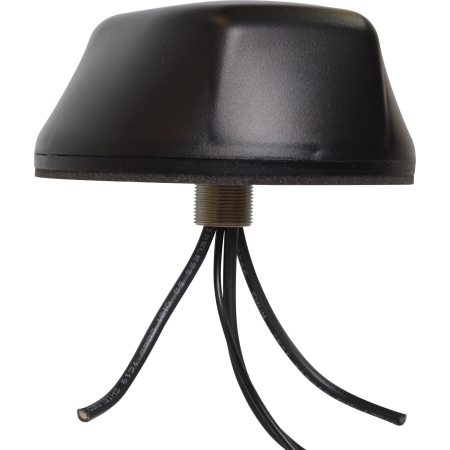 With 4-elements, the MLTM402 antenna is ideal for fleet management systems that combine GPS with a Global broadband cellular modem as well as a WiFi modem. 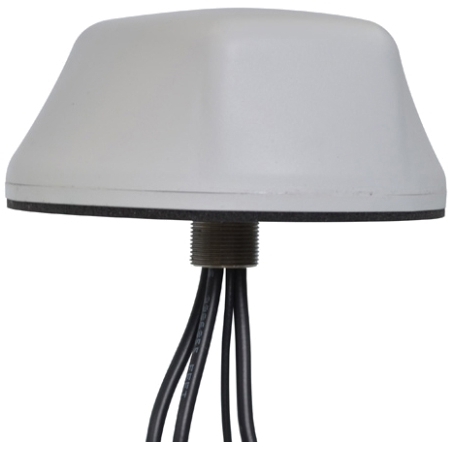 Measuring 5.5″ (140 mm) in diameter with a low profile of 2.78″ (70.6 mm), the MLTM402 series antennas take up significantly less space than multiple antennas. 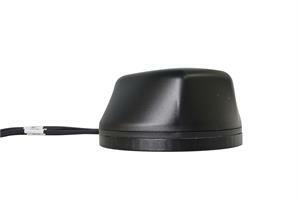 Panorama Sierra Wireless AirLink SharkFin 4-in-1 antenna. 4in1 SharkFin Antenna with 2xLTE, GNSS, 1xWiFi, 2.4/5GHz, Bolt Mount, 4m, Black - 6001116 - Compatible with AirLink GX450 Wi-Fi.